Recently, I've been a busy gal with all things choir, including my Podium Choir Blog Series highlighting performing choirs for PODIUM on the EDGE 2018 in St. John's NL! This will be my second time attending this wonderful, choir nerd-fest of a conference (click here to see my team from Podium 2016) and also the second time being part of the Podium Social Media Team as the social media coordinator! 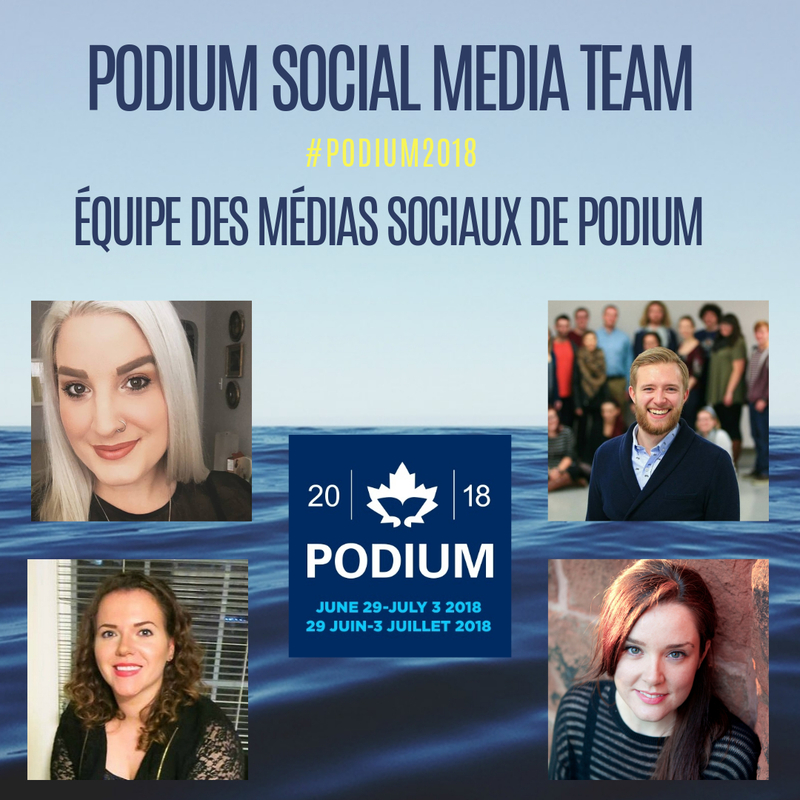 Meet my talented team members and I, coming from across Canada to join forces for Podium 2018 social media takeover. This ranges from concert, sessions, and interviews with on site action-packed coverage to bring together our love for music and all aspects of choir! Want to know more about the team? Keep on reading where the team answers some fun choir questions! Graeme Climie is a Calgary based bass/baritone and associate member of Pro Coro Canada who will be traveling to Newfoundland as a member of the 2018 National Youth Choir. 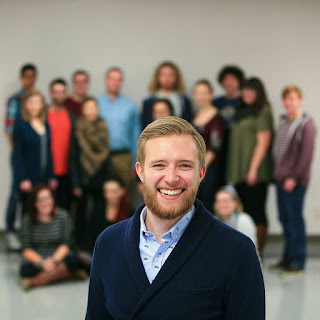 Graeme is a singer and board member of the nationally-acclaimed Spiritus Chamber Choir and has represented Alberta twice as a member of the National Youth Choir of Canada singing under Timothy Shantz and Jeff Joudrey. Graeme currently works as the Director of Business Strategy and Marketing for Cantaré Children’s Choir – his childhood choir. In his studies, Graeme is a senior Business student at the University of Calgary’s Haskayne School of Business specializing his studies in areas of entrepreneurship, marketing, and not-for-profit consulting. Graeme has become a dedicated advocate for bringing contemporary business strategies into the unique environment of the arts world. Throughout his degree, Graeme has consistently been recognized as one of Haskayne’s best and brightest being selected by faculty on multiple occasions to represent the prestigious school at various conferences and competitions. Graeme has been a competitor and finalist at the JDC West Business Competition, the RBC Fast Pitch Entrepreneurship Competition, and the McDonough Hilltop Business Strategy Challenge at Georgetown University. In 2017, he was one of four students selected to conduct a study auditing marketing practices of arts organizations under the supervision of Associate Dean Dr. Scott Radford in partnership with the Rozsa Foundation. What is your favourite Canadian choral piece? GC: Exaudi by Jocelyn Morlock. I have performed it many times with the National Youth Choir as well as with Pro Coro Canada. The piece begins in complete chaos and pain in the first half and the audience feels every ounce of that suffering which is then redeemed by the second half which is one of the most beautiful and uplifting segments of music ever written. It just gives you the whole journey from start to finish. Click here for an excerpt of the piece from Jocelyn’s Soundcloud recorded by Vancouver’s Musica Intima. Current choral piece on repeat? GC: My Ipod/Spotify/Youtube is playing choral music from around the world almost 24/7, one I always loop back to at least once a week is “The Nightingale” by Latvia’s Ugis Praulins. This masterwork is written for a 20-part(!!!) choir and recorder and follows the story of Hans Christian Andersen’s fairy tale. Many Podium regulars will remember Pro Coro Canada performed the piece in Halifax. What ensembles do you sing with and what is your favourite thing about singing in choirs? GC: I currently sing with Pro Coro Canada, Spiritus Chamber Choir, and I am a program instructor for Cantare Children’s Choir. Choir is the ultimate team sport and I find no greater pleasure than that of combining my voice with people I love and creating incredible art. What was your favourite moment while performing on stage as a singer? GC: Probably my first concert with the National Youth Choir for a sold-out crowd in St. Catharines. That single show validated the countless hours we had put into the program in the past month, but it was also a clear reminder of how much of a hunger there is for choral music in this country. My goal has since been to find as many ways as possible to use that hunger to further the art across Canada. Have you been to a Podium conference before? If so, what was your greatest memory from the conference? GC: I attended my first Podium in Edmonton two years ago and I was completely enthralled by the high level of music that I witnessed in a short few days. My personal highlight was being able to hear Michael Zaugg’s National Youth Choir perform at the Winspear Centre. The program was so imaginative and showcased music from the choral masters of the world while also bringing new music into the world with many new commissioned works. Michael puts so much faith and trust in young people and the concert was his chance to show the choral community that young musicians can deliver when entrusted with a vastly complex and difficult program. I sat there in the audience and resolved I would be up on that stage the next time NYCC was formed, it was all the motivation I needed to be accepted into NYCC 2017 and I will now be returning with the 2018 session to Newfoundland. Kristen Jerabek is a voice student at the University of Ottawa. She currently sings with Capital Chamber Choir as a soprano and has been heard as a soprano soloist in Vivaldi's Gloria and Rutter's Magnificat; in performance with Calixa Lavallée Ensemble conducted by Laurence Ewashko; and in various churches around Ottawa, such as St Bartholomew's and Westminster Presbyterian. This her first Podium and she is so excited to join the social media team. KJ: I tend to make a YouTube playlist of what I am performing and just repeat that over and over in the weeks approaching a concert. Currently, because of Podium, I've been playing Eric Whitacre's "Leonardo Dreams of His Flying Machine". The last section of the piece is a bit rough for me still, so I've been reviewing the rhythms repeatedly while stomping it out on my floor. My neighbors probably hate me, but I'm definitely improving. Which social media are you most into right now (ex: Snapchat, Instagram, Facebook etc.)? KJ: I'm really loving Instagram right now. There are so many really interesting creators, and I have always had a passion for photography. The ability to practice my photography and try and come up with fun and informative captions is great. KJ: I currently sing with the Capital Chamber Choir and my favorite part of my choral experience is a little strange. You know those rehearsals were everything seems to go wrong? Those days where half the soprano section is sick, three basses aren't there, the tenors are singing the soprano part, and the altos are tired of sing the same note and stopping right before their part gets interesting? In those stressful rehearsals suddenly something goes absolutely perfectly. It might be five minutes of the 3 hours you are practicing, but in those minutes you are the epitome of a team. That's my favorite part. Which sessions/concerts are you most looking forward to at Podium2018? KJ: As a long time chorister I've always been interested in listening to a choir from a different point of view. One such alternative perspective is that of the conductor. In my work as a choir lead in churches I've had opportunities to peek into the world of conducting but I've never really explored that role. I'm very interested in the session "Choral sound from the inside out: The conductor's art of listening" in order to broaden my understanding of listening as a conductor. I think it will help me to be a better chorister by understanding more thoroughly a conductor's auditory perspective. KJ: My first singing performance was at age 4. I was singing "Frosty the Snowman" at the Ottawa German Community Center. It wasn't a big performance, and it was definitely not great, but I realized the power of music in that moment. It taught me that you don't have to be astronomically talented to receive or give joy through music. You just have to share sincerely the music from your heart. Cornwall native Amy Desrosiers is a mezzo-soprano, choir manager, and digital marketer for the Capital Chamber Choir and alto in Aella Choir. She completed a Bachelor of Music and minor in Arts Administration in 2011 at the University of Ottawa. Amy loves working behind the scenes as an Arts Administrator for local music projects and creating connections among the community. 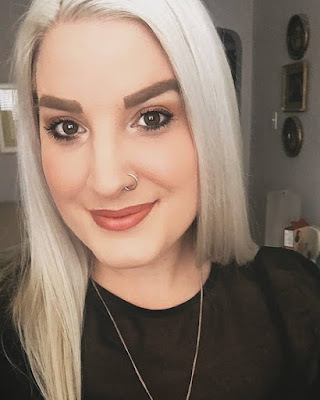 Her love of social media and music inspired her to create the blog “Blonde in the Choir,” which strives to support artistic projects and initiatives in the Ottawa choral community. Amy recently served as Chair and Head of Marketing for the Sing Ottawa en choeur festival Steering Committee (June 2017) and is the Social Media Representative for the PODIUM Choral Conference & Festival in 2018. AD: I go through phases so I’d have to say at this moment is Nicholas Piper’s “Delight of Paradise” which was recently recorded with my choir, Capital Chamber Choir in October 2016. It is a 7-movement beast of a choral work ending with the epic 7th movement “For There Is Abundant Room”. I’m extremely proud of Nick’s accomplishments as a composer and the choral world must know about this amazing work! You will get to hear the piece in its entirety at our Spotlight concert on July 2! AD: Hands down “Salvator Mundi: Greater Love” by Paul Mealor. I am a huge fan of his work and the piece is sung in different languages simultaneously: the SATB quartet in Latin, the choir in English, and a gorgeous floating soprano Welsh solo at the end! Which sessions/concerts are you most looking forward to at #Podium2018? AD: EVERYTHING - particularly the National Youth Choir as they are our emerging Canadian artists and giving them all our support is integral to their development. I've also been a longtime fan of Solala so that will be a big one for me! AD: One of the most memorable performances I did was in June 2010 when the Ottawa choirs and the National Arts Centre Orchestra were joined by the Orchestre Métropolitain and its choir, from Montreal, to perform Mahler's Symphony no.8 (also known as the Symphony of a Thousand) with conductor Yannick Nézet-Séguin, both at the National Arts Centre and the Place des Arts. A double-choir of 300 singers with a double-orchestra, with a "tour" to Montreal. It was a sold-out show at both locations. One of the most thrilling experiences of my choral life and I hope to perform it again one day. AD: My first Podium was indeed at Edmonton in 2016 where I also joined Sable's (The Choir Girl) social media team. 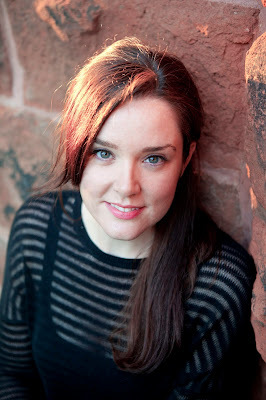 Andrea Ellis is a pianist and mezzo soprano based out of Charlottetown, Prince Edward Island, and is an active member of the province’s music community as a private music instructor, collaborative pianist, and choral musician. Andrea is a Registered Music Teacher (RMT) and is a certified piano teacher with the Royal Conservatory of Music. Along with managing a thriving private studio, she is the Director of Music at St. Andrew’s United Church in Vernon Bridge, PE. She is collaborative pianist with several Island choirs including the Indian River Festival Chorus, the Amabilè Singers, and Harmonia Girls Choir; as well, she performs as a freelance collaborative pianist working regularly with music students at University of Prince Edward Island (UPEI). 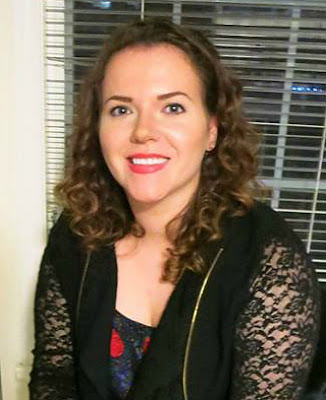 Andrea holds a Bachelor of Music (piano) from UPEI and was a two-time member of the National Youth Choir of Canada (2010 with Dr. Victoria Meredith, and 2012 with Ivars Taurins). She also comes with previous experience in the field of arts administration, holding positions at The Indian River Festival, Atlantic Presenters Association, and Contact East. She also served as Tour Manager for the 2014 edition of the National Youth Choir of Canada. As a founding member of Sirens, Prince Edward Island's women's choral ensemble, Andrea is thrilled to be performing with the ensemble at Podium 2018 in St. John's, NL! AE: I am currently in love with “Sorrow Song of Whales” composed by Jeff Enns. This piece was commissioned for Sirens, a women’s choral ensemble based out of Charlottetown, PE, and we will be premiering the work in St. John’s (Highlight Performance: “Equals on the Edge”, July 2)! The text is based on the “Mermaid Legend” as told by PEI Mi’kmaq elder, Mathilda Knockwood. Inspired by the legend, PEI Poet Laureate Deirdre Kessler draws on parallels of environmental crisis and sustainability to create poetry specifically for our new work. Jeff cleverly crafts the harmonies to portray anguish, hope, and there is even a whale song motif – it is magical and has been a very special collaborative project for our group. AE: I currently sing with Sirens, a women’s choral ensemble in Charlottetown, PE. I am also quite involved as a collaborative pianist and work for several ensembles on PEI, including the Indian River Festival Choir, The Amabilè Singers, Harmonia Girls’ Choir, and I am Director of Music at St. Andrew’s United Church in Vernon Bridge, PE. As nerdy as it may sound, choral music is a way of life for me. I truly believe that creativity is as important for our health as regular exercise, restful sleep and a healthy diet. Throw in the communal aspect of choirs, and it really is the perfect activity. I’m so happy to help facilitate these opportunities for singers in my own community, and we have a lot of fun! What do you think is an advantage of social media that more people should be aware of? AE: Social media is such a powerful tool for choral programs! We naturally have a built-in audience among our singers, who can share posts and help build an organic audience. Social media also allows organizations to personalize their events, activities, goods, etc. Whereas a website presents a more formal look at your choir, social media can take viewers behind the scenes – like an online open rehearsal! Audiences are fascinated by process and love to be included; it is an excellent way to personalize what you do and who you are as a choir! AE: I have attended Podium before as a singer with the National Youth Choir of Canada (NYCC) in 2010 (Saskatoon) and 2012 (Ottawa). I’d have to say my greatest memory is performing at the event. The shear terror of knowing some of Canada’s leading choral musicians in the audience was both intimidating and heartwarming. While many are accomplished musicians, they were also once youth musicians, wading their way through various programs as they decided what musical path to take. There was certainly a sense of warmth and support from the audiences as we sang our little hearts out, and it is so special we have this nurturing network in our country! Showbox is not an official app of Google so you have to download it from a trusted website or source. It is not easy to find and download the application as it is sideloaded from the platform. But we will tell you how you can download and install Download Showbox App for Windows on your device.